Obviously I had heard of Hitachino Nest beers and sought them out eagerly. The Hitachino Brewing Lab is a little retreat near Akihabara in the old Manseibashi train station building. Several of the beers were available on tap and a small menu is available. I can vouch for the pork cutlet sandwich. The website does make out that this is a venue where you can learn all about brewing. This wasn’t evident when I visited but it was still a nice spot to relax and try a few beers. I really enjoyed the Amber Ale it was a little boozy though. I finished up with the sweet stout which was rich and warming with some nice coffee notes. Perfect on a rainy afternoon. I should also note that Akihabara is video arcade heaven in Tokyo, with many multi-storey arcades. So both my beer geek and normal geek sides were satisfied that day. Mistake: while choosing a place to eat on a busy street in Asakusa I noticed a beer called Hoppy that was advertised at most of the eateries we walked past and a few diners were consuming them (some through a straw). As soon as we sat down I ordered one. It was served to me in a glass with ice. I didn’t let that put me off, thinking the locals know best. It barely tasted of beer but that could have been the dilution. It wasn’t until I checked it in on Untappd that I realised that it was alcohol free. Unfortunately, not the first time I have made this mistake (in Spanish ‘sin’ means without i.e. without alcohol), and maybe not the last. Stumbled upon this when trying to find the Bunny Café (look it up, it’s a thing. It’s right near the hedgehog café). I know it doesn’t count as Japanese craft beer but it was open on the public holiday when other places weren’t and I knew the beer would be good. I’ve had the Punk IPA many times but was happy to get a crack at a few more. My pick of the night was the Five AM Saint Red Ale. Full of rich, malty goodness and big hop flavour. Perfectly balanced. I also liked the Arcade Nation Black IPA. I’m a fan of the black IPA as a style. This one had the piney hops I was looking for, maybe a tad low on bitterness but I still enjoyed it. Food is 100% western here. No Japanese food in sight. Let me start by saying Shibuya is a busy spot. I’ve never seen intersections with so many people crossing. 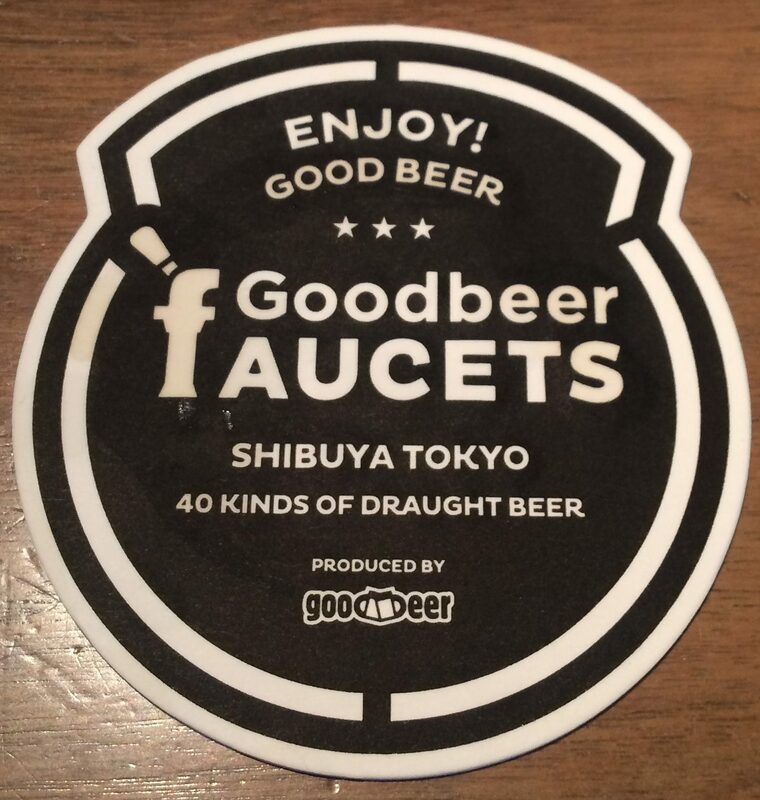 Goodbeer Faucets (GBF) was a welcome haven from the crowd. An awesome space on the second floor (2F) featuring 40 beers on tap. They stock NIDE beers which are the house beers brewed by Baird Brewery for GBF, as well as a swag from local breweries and a few from the US as well. I really liked the Nide Redneck Amber Ale (yes I know I have a thing for red/ambers at the moment). Another amber with strong malty flavour but balanced with bitterness and hop flavour. Another stand out was the Goofy IPA from Tokorozawa Brewery. A solid West Coast Style IPA with good bitterness and stone fruit flavours. Overall GBF had good atmosphere playing 90s-00s music. Again western food prevails here, so pizza was the item of the day (I swear I ate local food and lots of it when not checking out the craft beer scene). A little quiet on a Sunday afternoon but, as I said, nice to escape Shibuya madness. This one is a hidden gem. If you don’t know it is there you will not find it. A few streets back from the main street in Ginza on the third floor (3F) of a pretty modest building is Beer Lupulin. 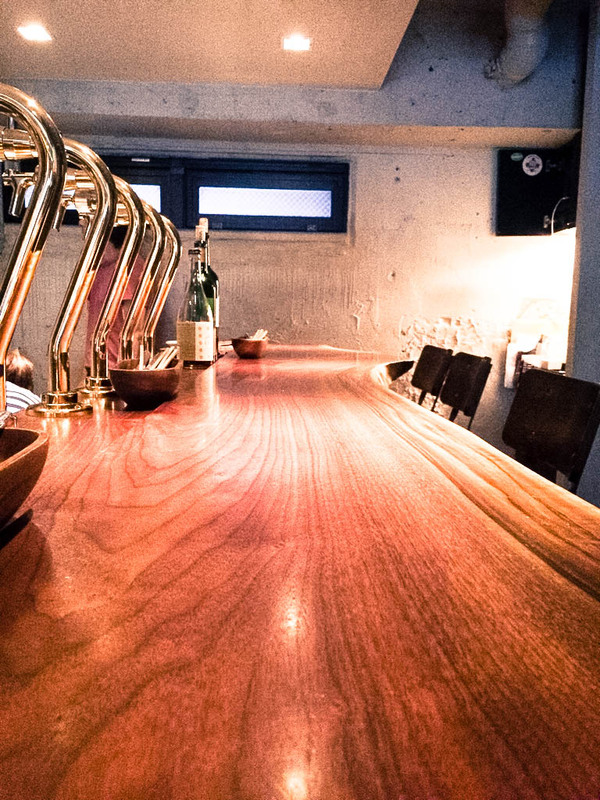 This small establishment boasts only 18 seats and 6 beer taps out of a beautiful timber bar and was one of my favourite spots for craft beer in Tokyo. 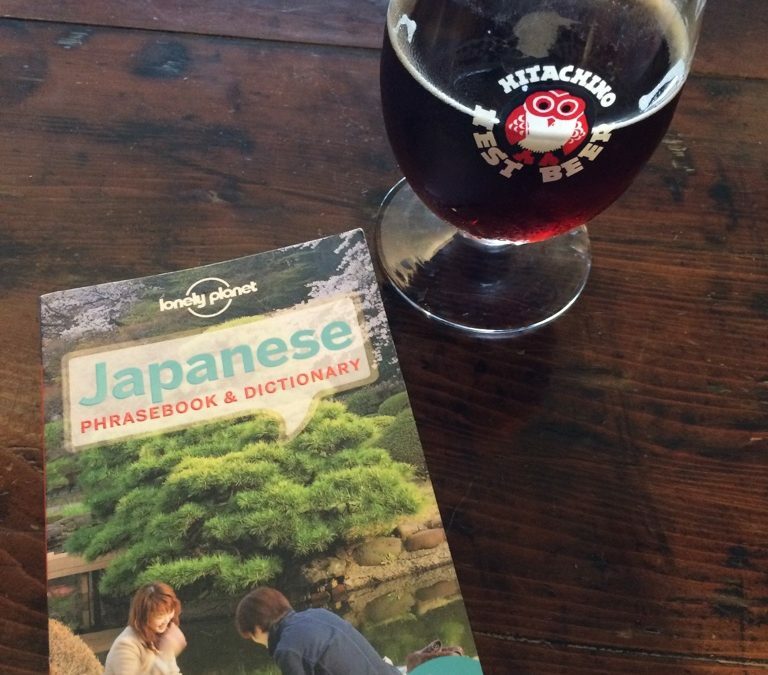 No English menu or English at all and my limited Japanese phrases meant that I took a chance on my first beer. I pointed to the first beer on the list and said please. I ended up with a still unknown Saison. With my beer I was handed a small bowl of Shirasu (raw whitebait). I wasn’t expecting this, but I am travelling for new experience so I gave it a go. I finished the bowl. I think the ginger it was served with helped, but it wasn’t bad. For my next beer I saw the letters IPA and went for that. The lady behind the bar then used her smart phone to tell me it was a Shiga Kogen IPA. It was delicious with strong bitterness and Passionfruit hop aromas reminiscent of Galaxy hops. 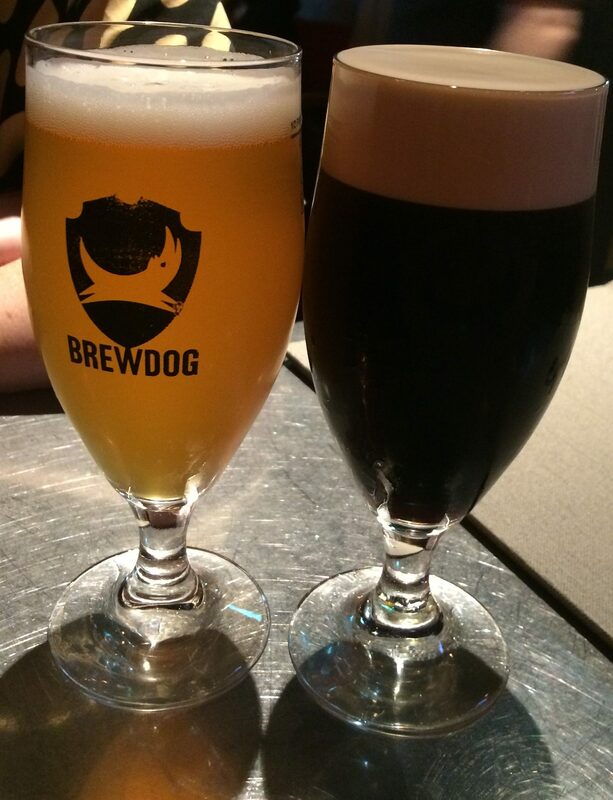 I then saw a stout being poured so pointed to the tap and request one. Again through the smart phone I was told it was from Harvestmoon Brewery, which is brewed in the Tokyo Disney Resort. My Disney stout was mild yet flavoursome, but didn’t linger on the tongue. Although no English was spoken, at no time did I feel unwelcome. In fact, because it was such a small venue, I felt privileged to be there. My clear enthusiasm for craft beer made the staff want to help me understand what I was drinking. Not a taproom that spoils you for choice but a must visit. Ok, so I know this is only four bars. Nobody is more disappointed than I am. The big lesson is that a lot of craft beer places are shut on weekends and public holidays (particularly bad in a week with three of them). I look forward to coming back and trying some beers from Craft Beer Market, Craft Beer Bar IBREW, Devil Craft and Harajuku Taproom. Also, unfortunately, craft beer venues don’t seem to serve a lot of Japanese food. So I must admit to having a few Asahi or Kirin with my Ramen, sushi and sashimi (I know the lager haters out there will cringe, but they’re an easy drinking beer and go well with the local food). So from my limited exposure I have to say Tokyo Craft Beer is a thing (no need to look it up) and a good thing at that.